Leaving Edinburgh is an escape only for the sake of escaping, not because it’s a place to run from. Edinburgh is both immediate and eternal, with its tangled old city and, in its not-so-new new city, the spacious Georgian apartments, shoulder to shoulder, fused into tidy rows. Still, there’s more of Scotland to see. It’s highlands and lochs, its dramatic scenery and gritty, student-filled cities. And there’s the two hour stretch between Edinburgh and Glasgow — a suburban no man’s land where people live the kind of lives that probably don’t involve tartans or soundtracks scored by bagpipes. Or maybe they do. The bus departs from the station in a belch of diesel exhaust. Only the locals board there. Tourists are oblivious to the city buses as they wait for their carefully mapped day excursions. Some plush coach that picks up at the Quaitch Guest House. 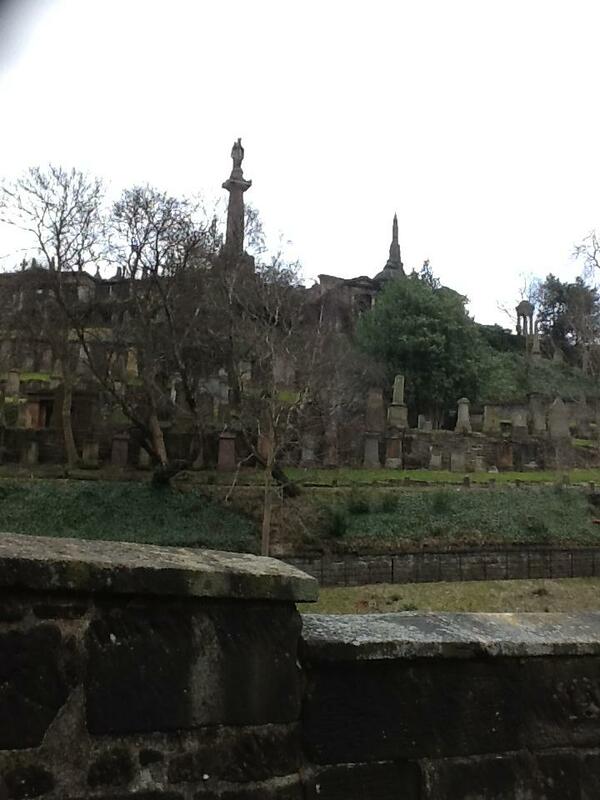 Cemetery behind St. Mungo Cathedral (Glasgow). A sudden slice of sun. A bulbous black cab muscles along a dirt road. In the distance, rounded hills sit, iced thickly with snow. Roadwork at Livingston. Traffic crawls. The bus driver has a shaved head with the ghost of a widows peak and a pale scar. Stands of pines and bare trees ring a snow lake. Fields of snow rest, undisturbed by traffic or sun. 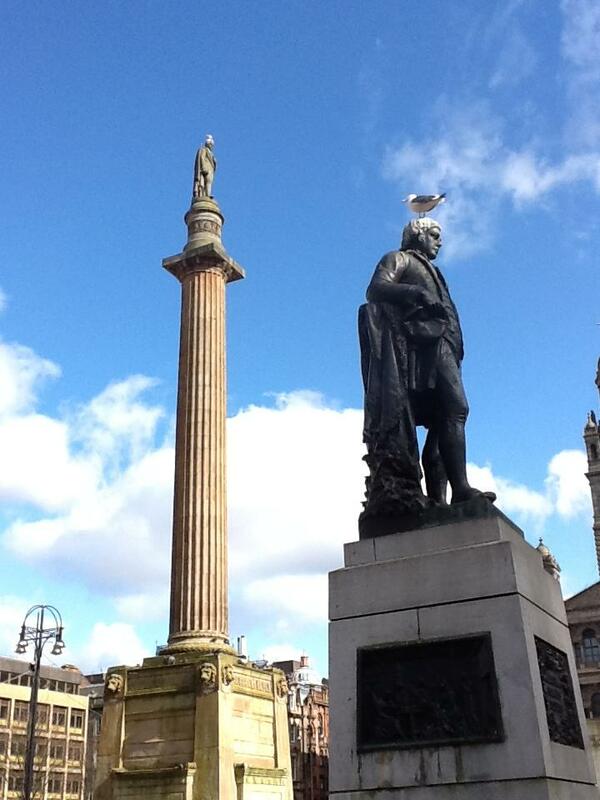 Robbie Burns (foreground) and Sir Walter Scott (background), both wearing seagulls as hats. High style for statues in George Square, Glasgow. Chapelhall, Holytown: The sprawl begins. Warehouses, factories, a clutch of suburban homes. New houses, all tan with red roofs. Billboards and exits. 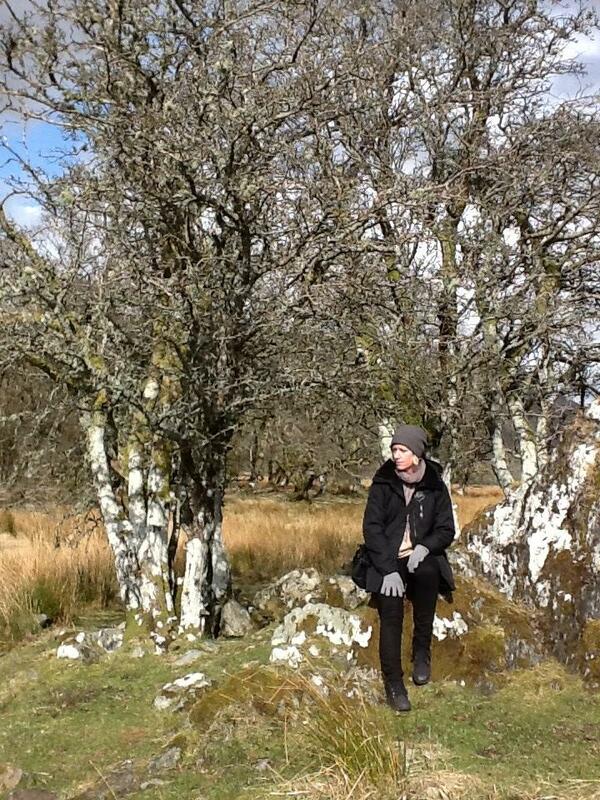 Skinny white birch trees, cows grazing 11 kilometers from Glasgow’s city center. Signs about everything and nothing. Industry is a dream, but not a satisfying dream. 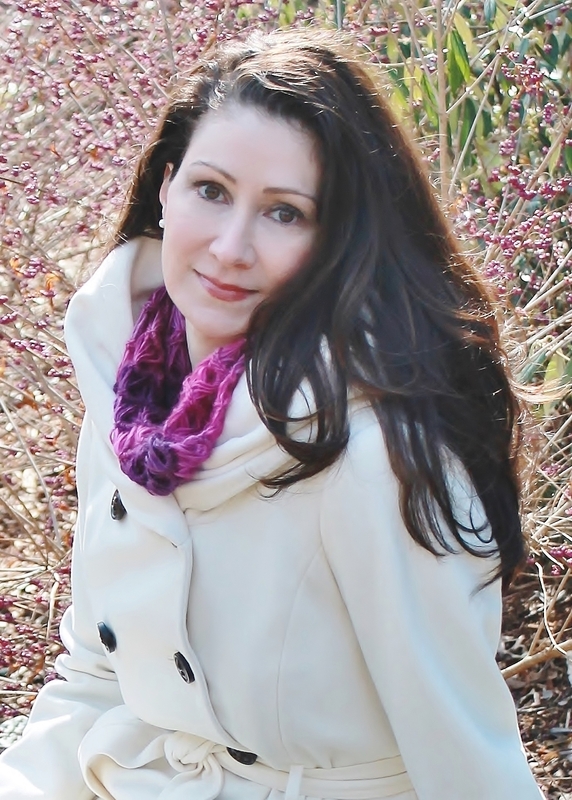 It’s the construct of the anxious mind rather than the restful vision of meadows and groves.